Stan Zielinski went through “many, many years of denial” before he realized he could no longer put off his knee surgery. And now, after having both knees replaced in separate procedures six months apart about five or six years ago, the Springfield resident said he’s very happy he followed through with it. Stan praised Memorial Medical Center’s JointWorks program, through which more than 1,200 patients undergo hip- and knee-replacement surgery each year, during a recent interview with Bob Murray, the host of the morning show on WTAX 1240 AM. 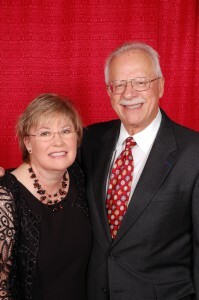 The education he had received before the procedure through the JointWorks program was invaluable, Stan said, helping him to know what to expect during and after the procedure. “I had worn out my meniscus cartilage; it was bone on bone,” Stan said. He had endured constant pain for years although he would never admit it to family and friends. Finally, the pain was so hard to manage that he knew he had no other choice. “I had to do it,” he said. The first procedure was performed in the morning. By that afternoon, he was working with a physical therapist who helped him begin the rehab process. Today, Stan has regained about three-quarters of an inch in height when he stands up straight because he had been so badly bowlegged before the procedures. 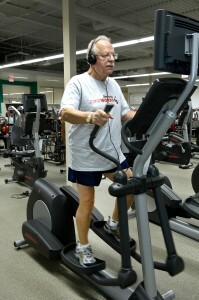 He’s gone from constant pain to working out at the YMCA on treadmills and weight-training equipment three times a week. Stan’s gratitude also extended to everyone he encountered on the orthopedic unit, including his nurses and physical therapists. To find out more about Memorial’s JointWorks program and other orthopedic services, visit GreatHealthStartsHere.com.